Coal has long been demonized as the worst fossil fuel, and it deserves its ill-repute. But really, is natural gas much better? In October, SoCalGas discovered that gas was leaking from its Aliso Canyon storage facility which was about 90% full. As of January 1st, 73,000 metric tons of methane have been released. The well won’t be capped till April. These underground caverns were created when oil and gas reserves were used up (to be burned in combustion in automobiles and power stations during the 20th century). These vast natural underground spaces then became available to store natural gas, for either heating, or for burning in power stations for electricity. The Aliso Canyon storage facility in California, was initially drilled in 1938 and was emptied in a few years, and has been available as an empty cavern to store gas since before the Second World War. This depleted reservoir, one of the largest gas-storage sites in the US, is one of 400 nationwide. 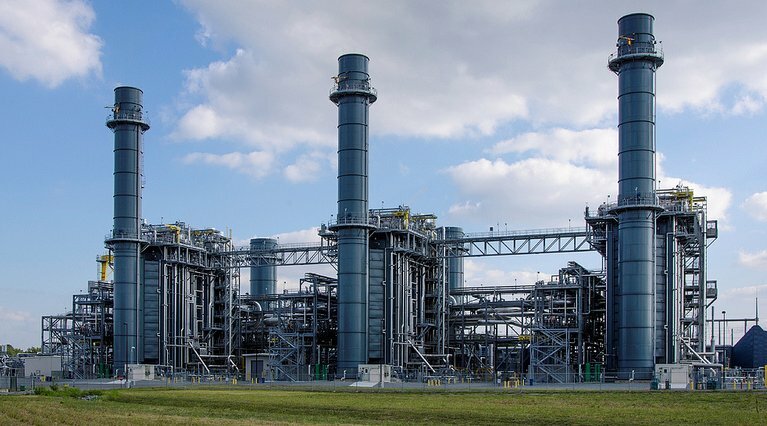 “The massive leak raises some larger questions about the electricity sector’s move to natural gas as a more environmentally friendly resource than coal: Since studies suggest that methane leakage of more than 3% of total production can negate any climactic benefits over burning coal,” said Utility Dive. Fossil fuels have varying storage requirements. Coal is shipped by trainloads nightly, with supplies depending on demand, so there are no significant storage requirements to be supplied at coal power stations. Coal is mostly left at the coal field till it is needed to be shipped by rail and burned. But natural gas is different. Very large volumes must be stored nearby, and it is stored in gigantic underground caverns like Aliso Canyon until needed. This need for storage of natural gas created the potential for more accidents like this blow-out; and makes natural gas an even greater threat to the climate than has been seen to date. California gets over 25% from renewable sources, but 54% of its electricity from natural gas. Even as California continues along the path it has set to 50% clean energy like solar – with less reliance on fossil fuels, natural gas is not looking any safer than coal. Robert Howarth is the author of a paper that warned of the dangers of methane emissions from an industry that relies on antiquated, inadequate infrastructure until it fails. His paper points out that there is no bridge fuel, and switching from coal to shale gas is accelerating rather than slowing global warming.